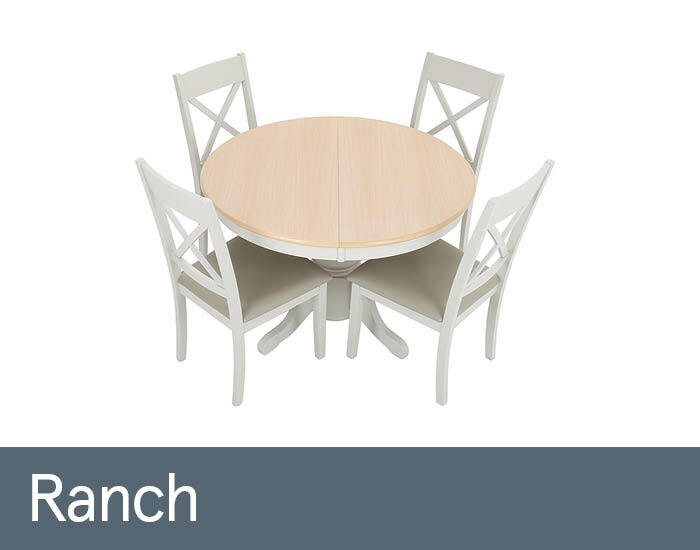 Ranch is an elegant, classically inspired collection of painted dining furniture with a fashionable contemporary twist. Its stylish frames are expertly crafted from selected hard woods, and painted in a soft grey finish. The table has an engineered SmarTop surface with an attractive oak look which can withstand the rigours of any demanding everyday lifestyle. The practical surface is easy to wipe clean and is heat, scratch and stain resistant, also making it suitable for kitchens. Useful, extending end-leaves make it ideal for smaller living spaces where space is at a premium.